“Faces of War” – BG Ira A. Hunt Jr.
by MG Ira A. Hunt Jr.
During the Vietnam War, as with all wars, the men and women of the US Army have many duties. They have put their lives aside to serve, honor and protect the Constitution and principles of America. They also provide much needed care and support for the people of the countries they are defending. This photo journal shows those people, places and events during the Vietnam War. 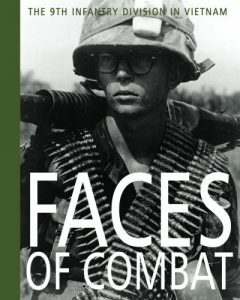 I recently published “Faces of Combat” for the fighting forces of Vietnam, particularly the 9th Division and Riverine force, to have a remembrance of their efforts and sacrifices to bring peace and democracy to the people of Vietnam. MG Ira A. Hunt Jr.